Our Analyst Trifecta eBook is free and available for anyone to download as a pdf. Get instant access to a comprehensive guide containing over 100 pages of tips on how to stand out from the crowd and become a world-class financial analyst. 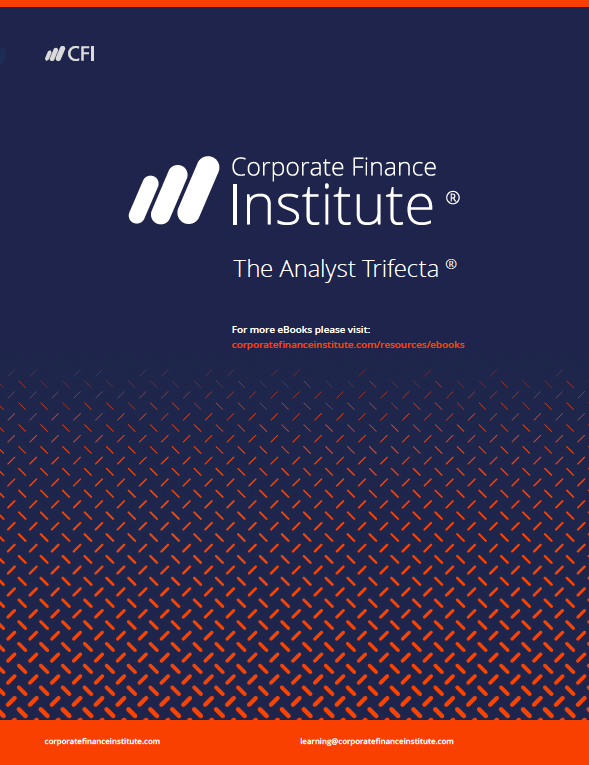 Welcome to the official Analyst Trifecta eBook from the Corporate Finance Institute. In this 141-page guide, you will learn industry-leading best practices to stand out from the crowd and become a world-class financial analyst. From analytics, presentation to soft skills, this eBook covers what an analyst can do to rise to the top. We hope this book will help you advance your career and achieve your future goals! This guide is broken down into three main sections: Analytics, Presentation, and Soft skills. All three of these are necessary to rise to the top and become the best financial analyst you can be! This Analyst Trifecta eBook is a great resource to help you expand your knowledge of financial analysis. Whether you are a beginner or an intermediate student, this book is designed to provide a lot of valuable information in one highly organized format. And the best part is…it’s 100% free!